Summertime gives kids a chance to let loose and unwind, but for every pool party and barbeque there’s a risk for bumps, bruises and broken bones. During the summer months, parents need to be on high alert because injury rates are at their highest. Children 14 years and younger are rushed to emergency rooms across the country for treatment of injuries nearly 3 million times from May through August, according to the Ohio Department of Health. By far the most common summertime injury Dr. Riley Jr. sees is wrist fractures. Elbow injuries, ankle sprains, collarbone fractures and overuse injuries, including tendinitis, stress fractures and pulled muscles, are also common summertime injuries to watch out for. Parents play a key role in protecting their children from injury. 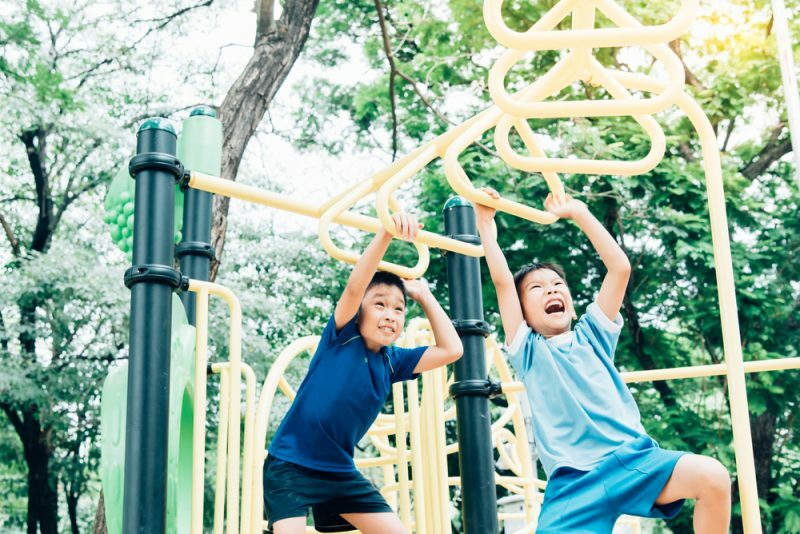 Dr. Riley Jr. offers 7 tips on how parents can keep their kids safe this summer so they can get back to sitting back and unwinding. Actively supervise kids. Kids are more likely to take risks than adults. Get involved with your kids and know where they are going and what they are playing. Be a role model for proper safety behavior. Promote a commitment to safety in everything you do. Kids are more likely to follow safety rules when they see their parents doing so. Wear protective equipment. From helmets to mouth guards to proper shoes, wearing the appropriate safety gear is one of the most effective ways to prevent an injury. Just make sure the equipment is the correct size and fits your child well. Follow safety guidelines. Safety guidelines and rules are there to help kids avoid injury, so be sure your child follows them. For example, only one person should jump on the trampoline at once and everyone should wear helmets while riding bikes or rollerblading. When it comes to sports, kids should know the rules, use proper form and avoid situations that may cause a headfirst collision either with another player or object. Don’t jump back in full speed ahead. When kids go from zero to 60 in any sport or activity, that’s when injury occurs. Kids need to gradually get back in by conditioning and strength training the body so it becomes accustomed to increased levels of activity. In addition, make sure your child takes time to rest. The growing body is not always capable of withstanding hours upon hours of repetitive activity. Keep kids hydrated. Drinking plenty of fluids keeps your child’s muscles lubricated and working efficiently. In addition, hydrated muscles reduce the chance for muscle pulls and cramps. Prepare the muscles. One of the best ways to prevent injury is to strengthen the muscles for the sport or activity your child is going to play. Also, before embarking on a rigorous activity, make sure your child stretches to loosen her muscles, joints and ligaments. If the unfortunate happens and your child does get injured, the treatment will depend on the type of injury. For many, Dr. Riley Jr. recommends parents keep an eye on it and follow the RICE method: rest, ice, compression and elevation. Akron Children’s is making it easy to schedule appointments for summertime injuries. The Orthopedics and Sports Medicine departments are now offering online scheduling for fractures and new injuries. Visit akronchildrens.org/scheduling to schedule an appointment online. A MyChart account is not required. For questions about online scheduling or MyChart in general, call 330-543-4400 or email mycharthelp@akronchildrens.org.